How quickly do gobies invade the nests of Smallmouth Bass? How quickly do gobies invade the nests of Smallmouth Bass that are angled? 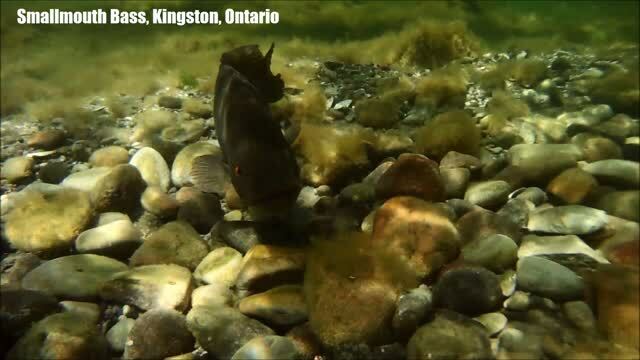 The associated video shows how quickly Round Gobies can invade the nests of Smallmouth Bass that are angled on Lake Ontario. This issue has become very relevant recently because of 1) the number of gobies in this system, 2) the fact that some fish are still spawning when the normal angling season begins and 3) a recent proposal in NY to consider an early “catch and release” season for bass on parts of Lake Ontario and the St Lawrence River. An important research objective in our lab has been to learn more about this issue by collecting the appropriate data. This video shows footage from one of our experiments (MSc thesis project of Dan McCarthy) in 2015.